Comfortably holds child up to 3 years or 30 pounds. Color: Black. Size: Extra Small. Simplicity holds great power. Black - so versatile, so essential, you'll wonder how you ever did without this black baby sling for so long. This functional, elegant carrier looks great, wherever you and your little one may go. Its timeless color and understated style enhance every wardrobe. Baby will be content to snuggle inside the natural fiber of this breathable material. Your comfort is ensured with its forgiving feel and durable design. Intoxicating style exudes from basic black, but that's not the only benefit of this simple black baby sling. Its straightforward, minimalist design perfectly meets the needs of today's chic mama, and will enable you to do more than you thought possible while holding a baby. 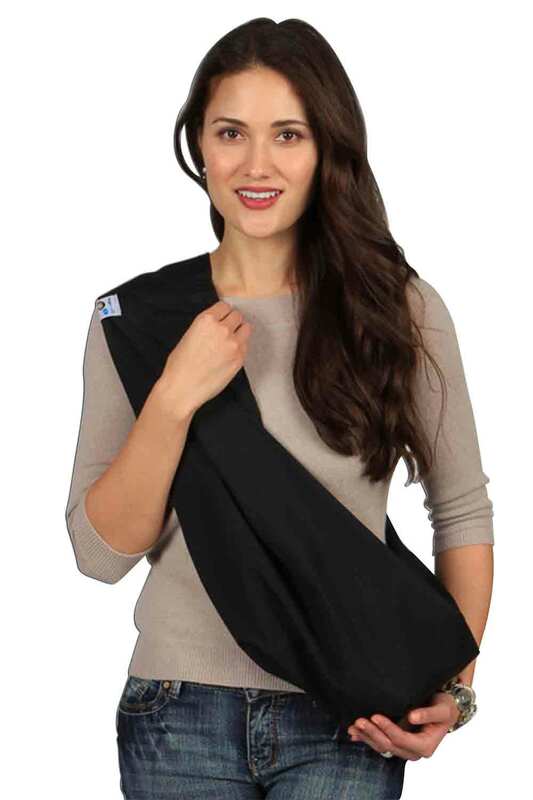 So whether you've planned a trip to the grocery store or a night out on the town, this sling will get you and your baby there-in comfort and in style.